Hey lovelies! Let me tell you, last month ended on a very sour and painful note for me. I came down with the flu – chills and fever – I am still weak from it. I also had to part ways with Nordstrom because I must be real, you guys are like me, you budget shop. So, I decided not to extend my affiliate agreement, even though Nordstrom had the pretty images. I did get the chance to become an affiliate with a store I know you lovelies adore, Target. 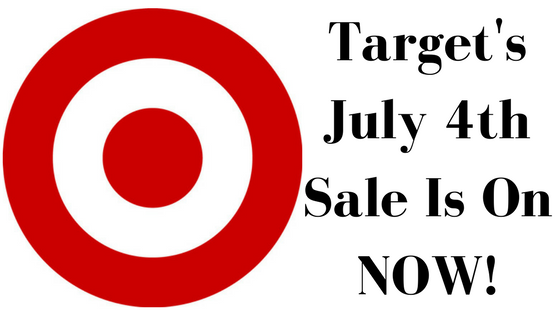 One of the first things I wanted to let you guys in on is the Fourth of July sale Target has going on starting today! From now through the fourth, save 20% off clothing, shoes, and accessories using code JULY4 at checkout. You can save 25% on Kitchen and Dining Items and 20% off outdoor items for kids such as strollers, joggers, and freestanding gates from now until July 8, 2017. Later in the week you can save 30% off Women's C9 Athletic Apparel (7/2 - 7/8).